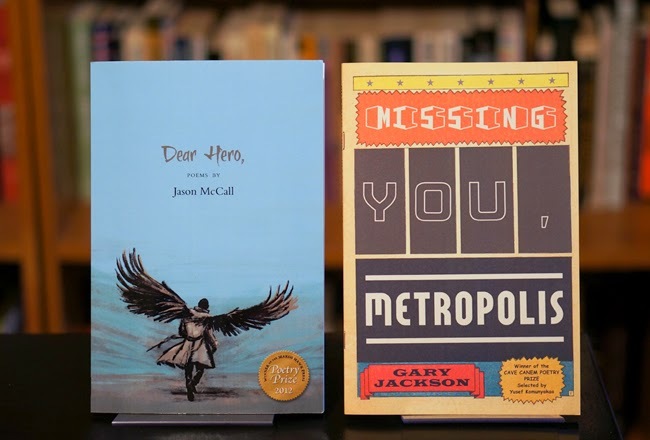 Gary Jackson's Missing You, Metropolis (2010) and Jason McCall's Dear Hero, (2013) take on popular culture in ways that are uncommon among the 300 or so volumes of poetry in my collection. Both poets demonstrate their familiarity with comic books and popular culture, devoting poems to superheroes froms comic books and movies. McCall's volume actually led me to Jackson. In a blurb on the back of Dear Hero, Cornelius Eady referenced Missing You, Metropolis, so after completing McCall's book, I got Jackson's as well. McCall covers approximately 100 kinds of heroes and villains in his book. In his poems, Jackson delves into the Marvel Universe, writing about Spider-Man, Gwen Stacey, Nightcrawler, Juggernaut, and others, and he also writes about characters from DC Comics, including Batman, Superman, and Lois Lane. Ideally, these books signal what will become a new development in contemporary African American poetry where poets devote more attention to popular culture in their works.